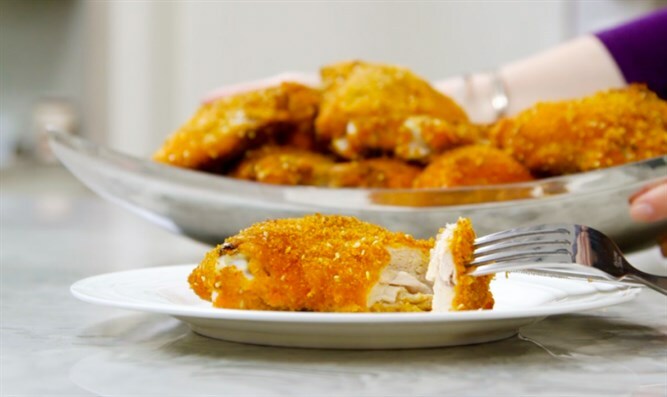 This aromatic sweet and savory chicken will have the whole family running to the Shabbat table, and keep them riveted, week after week. Pour the oil into the bottom of a baking dish. Slice the yams and place on top. Add the prunes. Pour orange juice into the pan. Place chicken on top. Rub with white wine sauce. Cover with a piece of parchment paper that fits within the pan, and then cover very well with foil. Bake for two and a half hours, uncovering for the last 15 minutes.